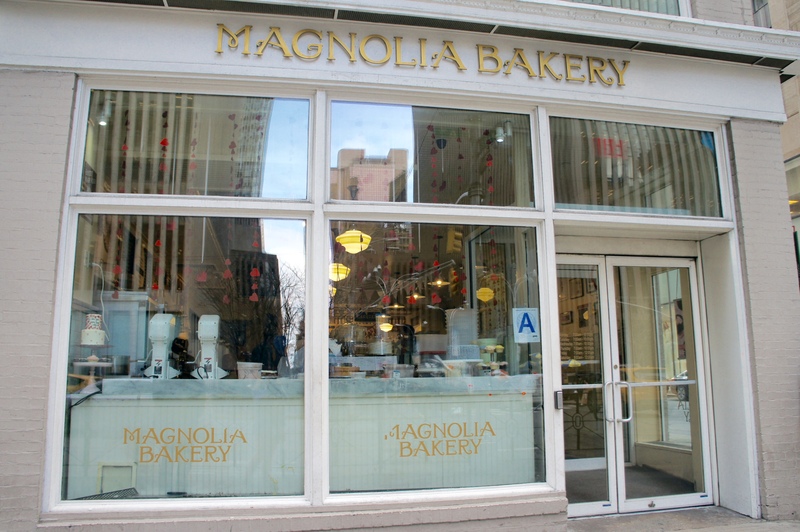 There are quite a few Magnolia Bakery stores now, the SATC one is on Bleeker Street, but I didn’t fancy shlepping all the way there to stand in line for an inordinate amount of time (which is apparently what happens at that one!). 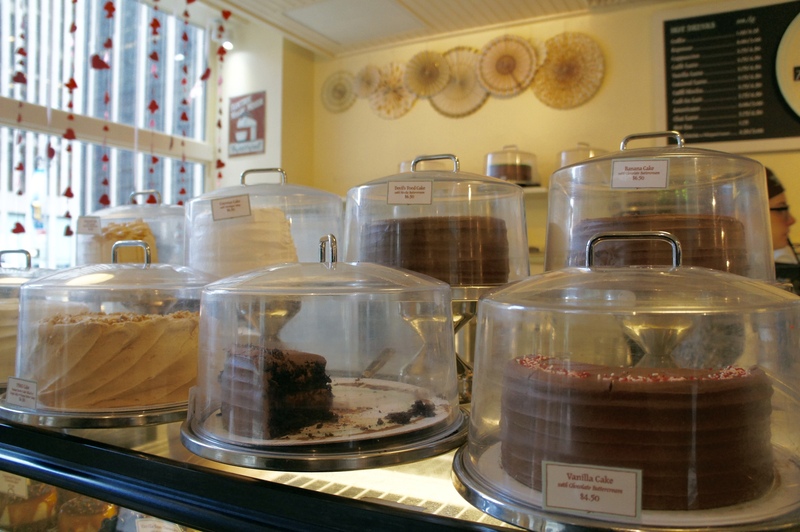 So I did a bit of research and was thrilled to discover one right around the corner from our hotel – joy! To be honest, I was a little underwhelmed with the decor. I found it oddly haphazard and the yellow walls tinged everything an unpleasant colour. 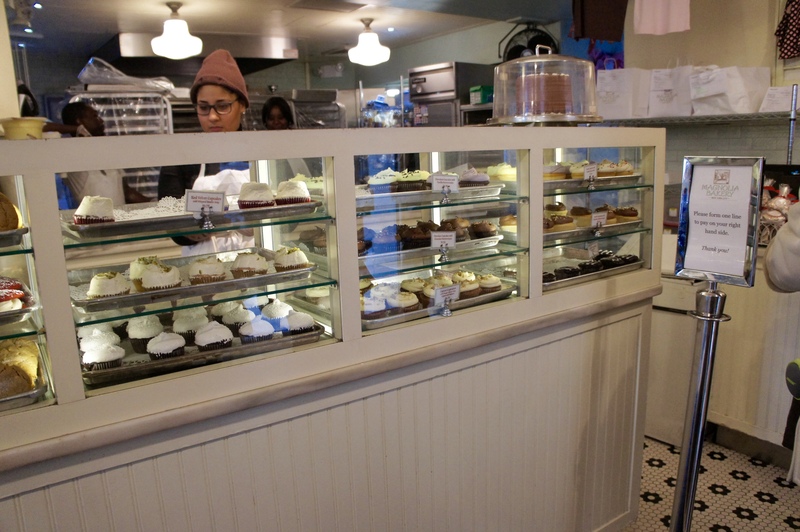 But we persevered – Magnolia Bakery has to be revered for a reason!! 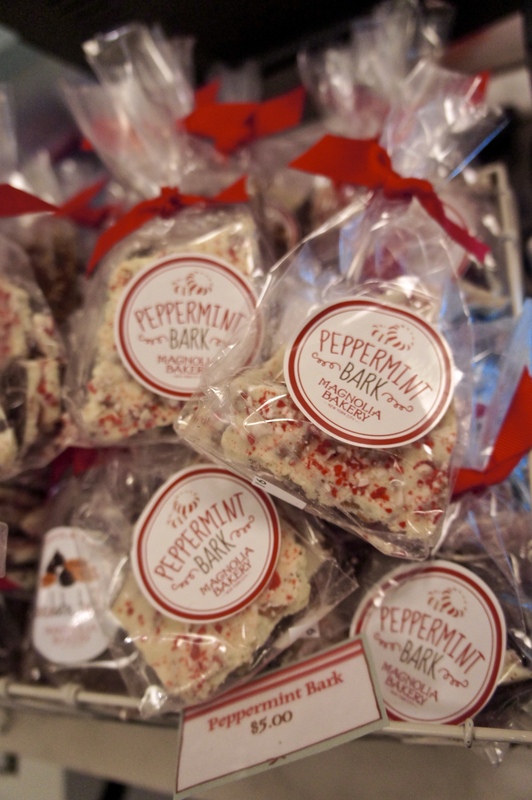 But my favourite on display, was their peppermint bark, I made my own version on the blog here a couple of Christmases ago, but I’ll definitely be recreating their take on it this year for you guys! 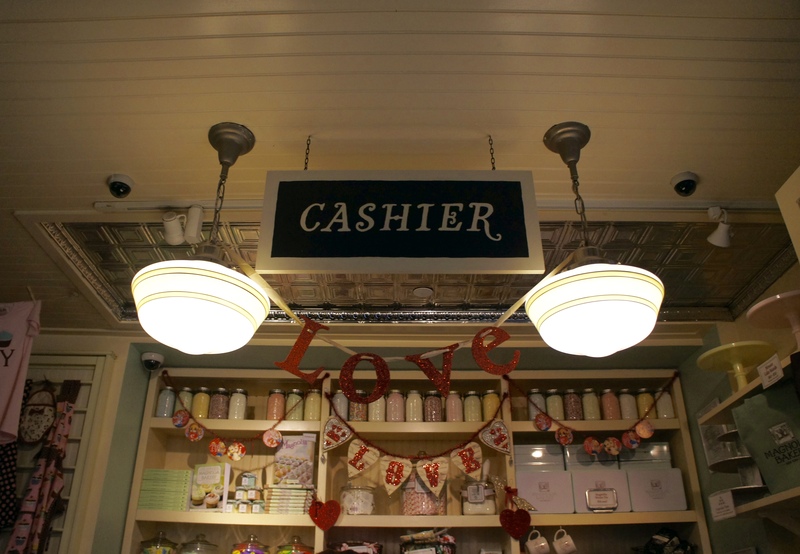 All our goodies were packed up and ready for purchase, tantalisingly out of reach, sat waiting on their side of the counter! But finally we got to the top of the queue, paid and they were ours! Of which there were a few…! So yum! 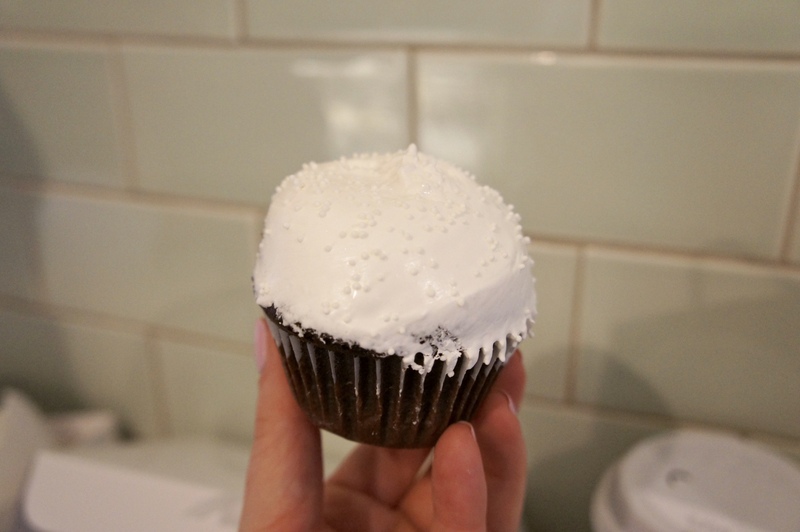 Although I was grateful it was one of their smaller cupcakes, that mallow frosting was quite sweet, any bigger a serving and I don’t think I would’ve been able to finish it! 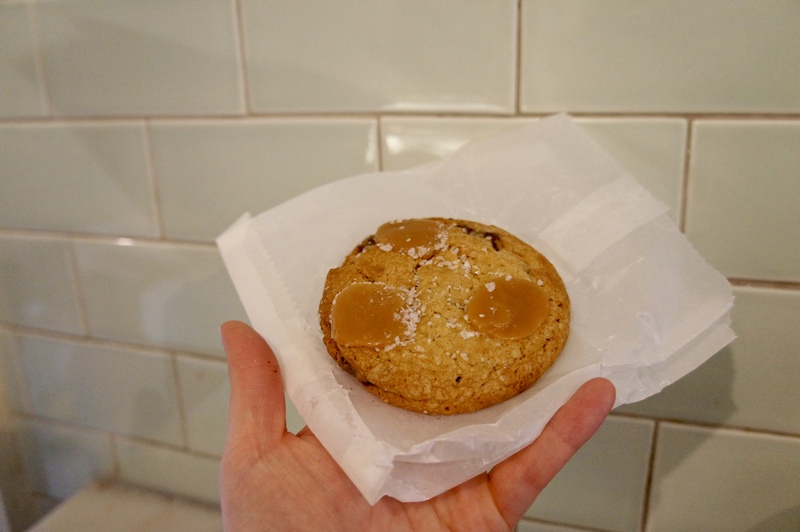 I had also suggested we get a sea salt caramel cookie to share…. Lets put it like this, there was definitely sharing involved, I’m just not so sure it was 50/50! 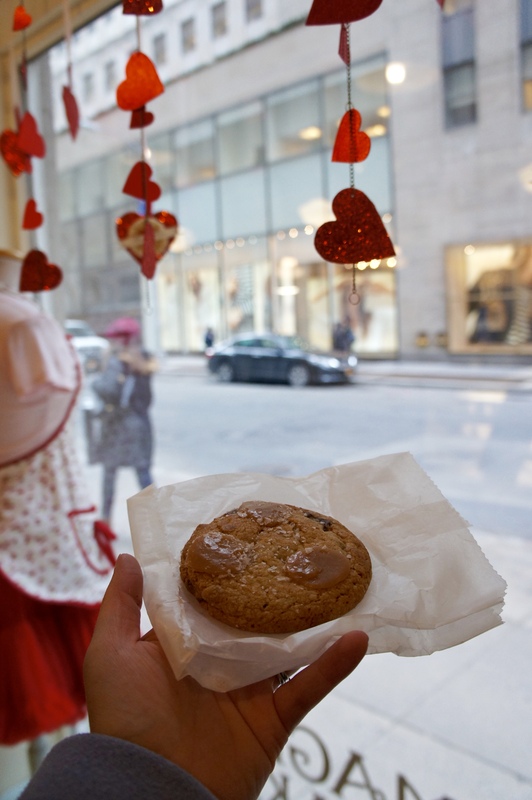 We left on a sugar high and in my case, a caffeinated sugar high and set off once again to see what we could see around the great city of New York! 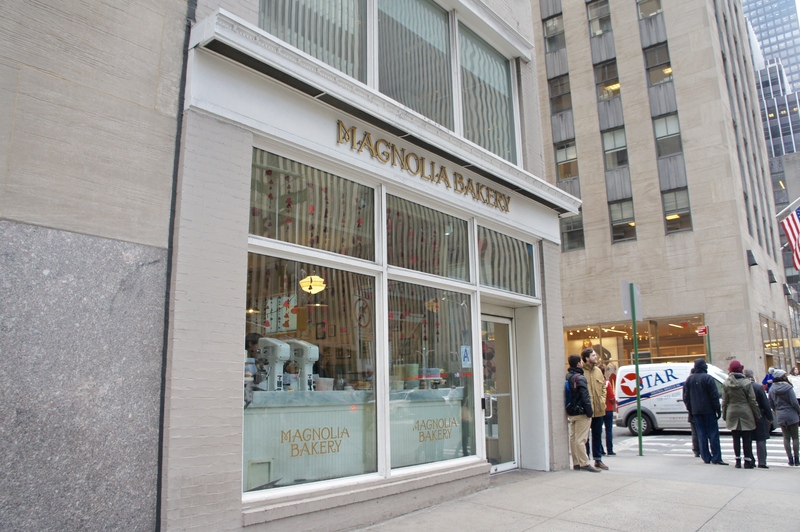 There are loads of Magnolia Bakerys’ around these days, so check out their listing and find the one nearest to you, or if you really must go to the one from SATC, just make sure you go early and are prepared to wait! 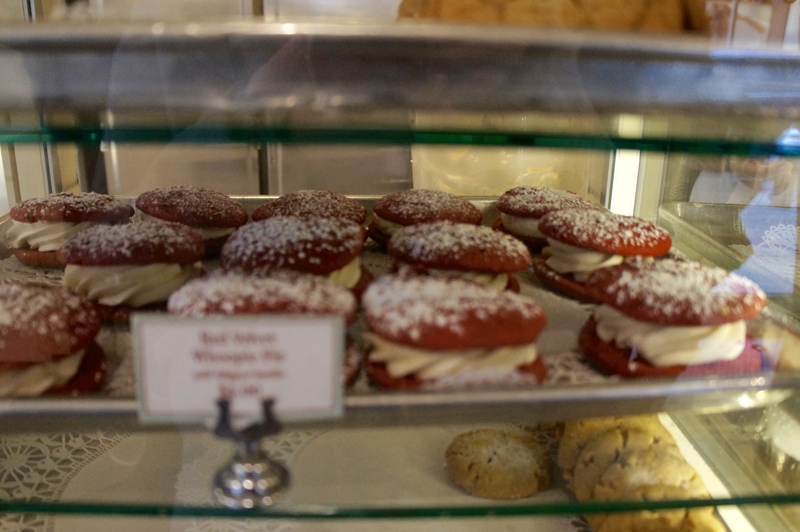 Thanks Susanne, I’ll be sure to give the red velvet cheesecake a try next time! Oh that looks absolutely fantastic! I’m desperately wanting to go there too! Go for it Kerstin, you won’t regret it!! Oh yum! If I ever go back to America (which I DO hope to do!) 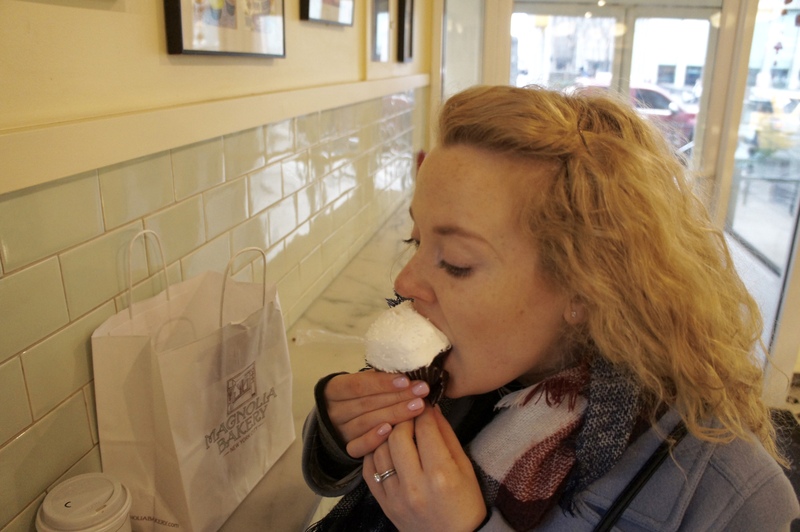 I’d love to tour around all the foodie places – there are so MANY I want to try! (I might need two plane seats for the journey home though!). 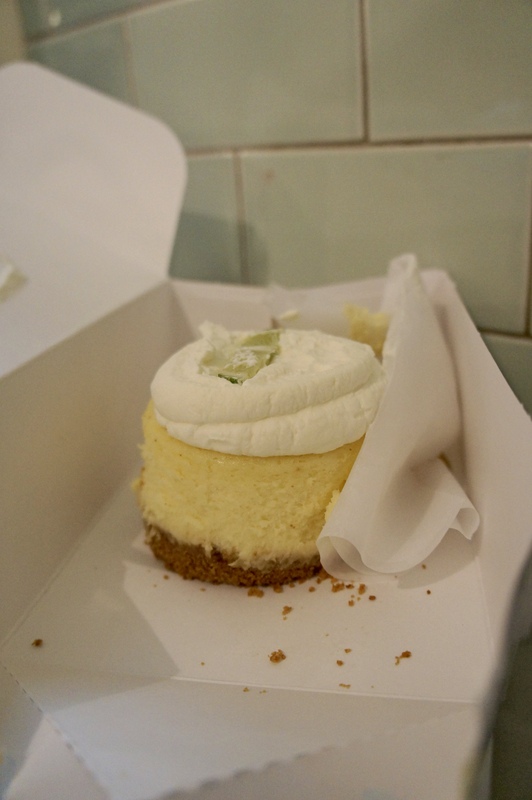 That lemon and lime cheesecake cupcake sounds to die for! Your belly will thank you!! 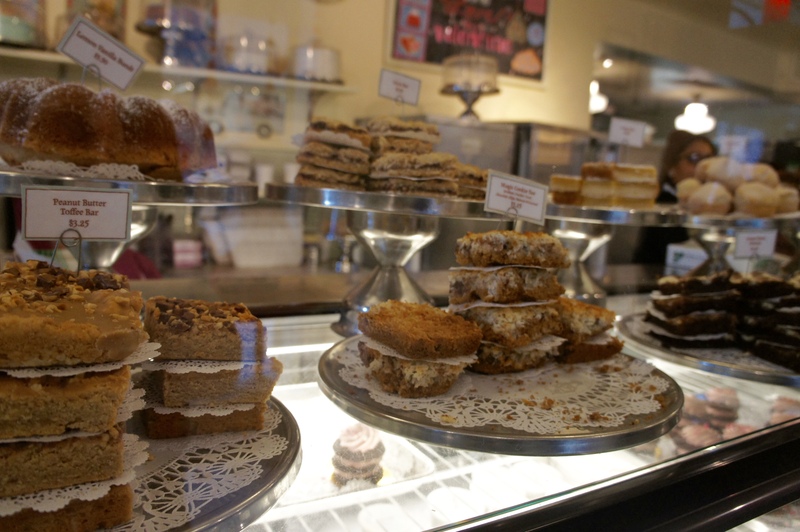 Oh I love Magnolia Bakery so much, too many yummy things to choose from. I keep seeing pics on Instagram of people with banana pudding from there. 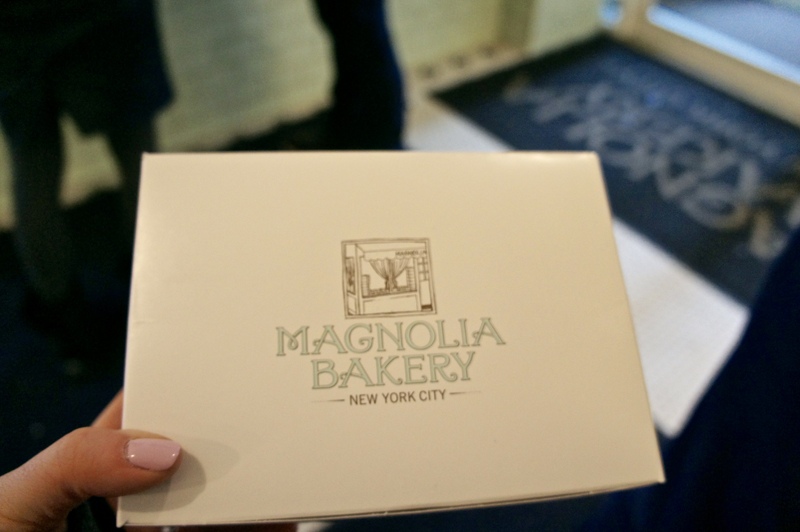 Wish we had a Magnolia Bakery in the UK! Tell me about it!! Goshie, wouldn’t that be just awesome?!! Ahh if I ever go back to NYC I’ll definitely go there. The last time I was there the line outside was sooo long. The peppermint bark looks amazing omg and all of the cupcakes, wow. 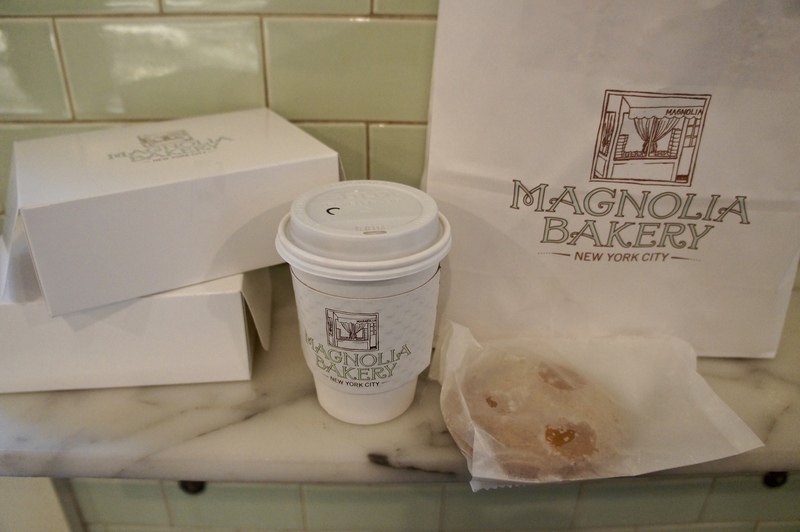 Magnolia Bakery is soooo yummy and you can smell it from a mile away!! Wow. 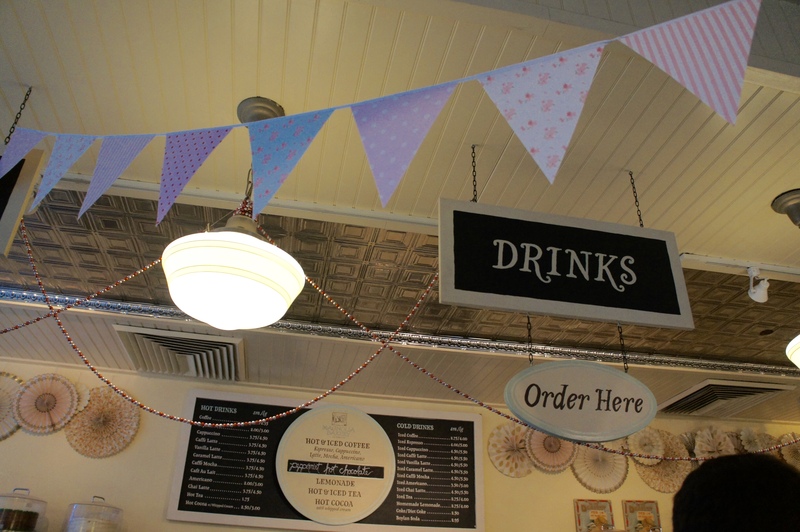 This bakery is so cute! Those desserts are superb! Yum! I’m going to NYC this weekend so I’ll have to stop by!! that lemon lime cheesecake cupcake looks to die for!!! Thanks for all of the suggestions girly!